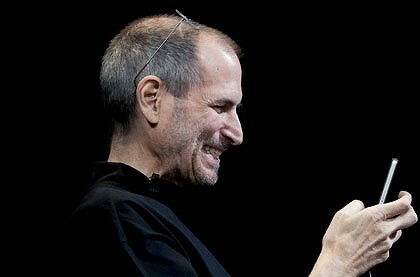 A rumour going round the internet is that Apple is going to fix the monumental signal problem with thier new iPhone 4. They are rumoured to release iOS4 version 4.0.1 on Monday to fix the problem that has plagued all iPhone when you hold it in your left hand. The update was referenced on Apple’s tech support forum but have have since been removed, but not before readers told the world the information about the new update. However if the problem is hardware, Apple have got a serious problem on their hands.